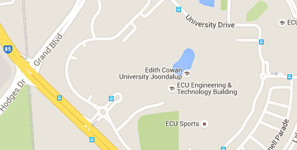 ECU has developed strong partnerships with industry groups since we were established in 1991. We collaborate with all types of businesses, including new start-ups, small to medium enterprises, not-for-profits, community organisations, government and large corporates in the resources sector. We also work with a range of professional bodies, including the Nurses and Midwives Board of Western Australia, the Law Society of Western Australia and CPA Australia. provide opportunities for our students to work directly with industry. Our students will be applying the knowledge and practical skills developed in the classroom to a professional environment relevant to their discipline. The program also provides a service to employers, by connecting them with our students who are ready to make a contribution.